Tamara Ingram, at a screening of the agency's new "Her Story" documentary, says, "Companies don't value women enough"
LONDON — Tamara Ingram, J Walter Thompson's new global chief executive, has said she is putting diversity and inclusion at the forefront of her leadership of the agency. Ingram was speaking Tuesday at a screening of the first episode of JWT’s "Her Story" documentary at the Picturehouse Central in Piccadilly Circus. 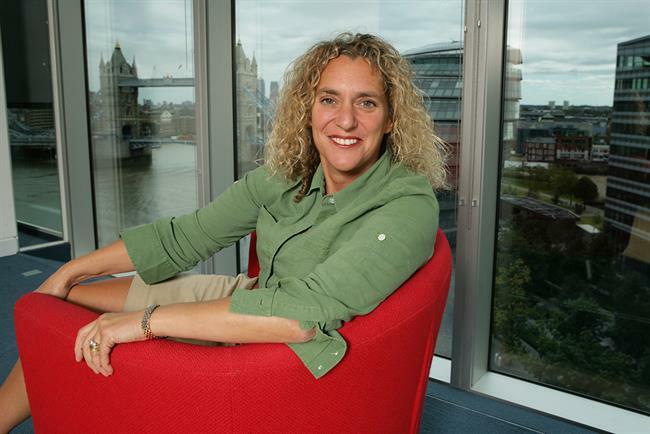 Introducing the film, Ingram said that she was not going to give an in-depth explanation of her plans as chief executive of JWT, but said "diversity and inclusion will be at the top of my agend." She added that she will make those principals a priority for her deputies, too, because "companies don’t value women enough." "I believe to the core of my being," said Ingram, "that diversity of people leads to diversity of thinking and diversity of ideas, and unleashing that creativity is very valuable to us. We haven’t got that inclusion in our work place at the moment." The remarks struck a notably different tone from her initial email message to agency employees, in which she thanked Martinez for his "energy and commitment" but made no mention of the circumstances surrounding his departure. JWT formed a new division, JWT Entertainment, to work with the BBC to create a documentary series called "Her Story: The Female Revolution," which was directed by James Rogan. The first episode, which interviewed the US Democratic presidential frontrunner Hillary Clinton, among others, was screened at the theater and followed by a panel debate hosted by "Newsnight" presenter Kirsty Wark. Rachel Pashley, JWT’s global planning head who was behind the 'Her Story' documentary, was also on the panel and talked about the need — within ad agencies — to "celebrate the idea of female capital."